W. E. B. Du Bois was one of the most prolific African American authors, scholars, and leaders of the twentieth century, but none of his previous biographies have so practically and comprehensively introduced the man and his impact on American history as noted historian Shawn Alexanders W. E. B. Du Bois: An American Intellectual and Activist. Alexander tells Du Bois' story in a clear and concise ma… nner, exploring his racial strategy, civil rights activity, journalistic career, and his role as an international spokesman. 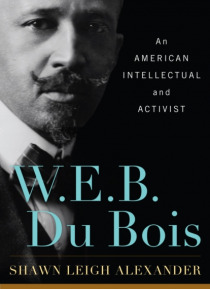 The book also captures Du Bois's life as an historian, sociologist, artist, propagandist, and peace activist, while providing space for the voices of his chief critics: Booker T. Washington, Marcus Garvey, Walter White, the Young Turks of the NAACPnot to mention the federal government's characterization of his ever-radicalizing beliefs, particularly after World War II. Alexander's analysis traces the development of Du Bois thought over time, beginning with his formative years in New England and ending with his death in Ghana. Paying significantly more attention to the many pivotal and previously unexamined intellectual moments in his life, this biography illustrates the experiences that helped bend and mold the indispensable thinker that W.E.B. Du Bois became: the kind whose crowning achievement is his continued relevance in contemporary culture, from classrooms to curbsides.